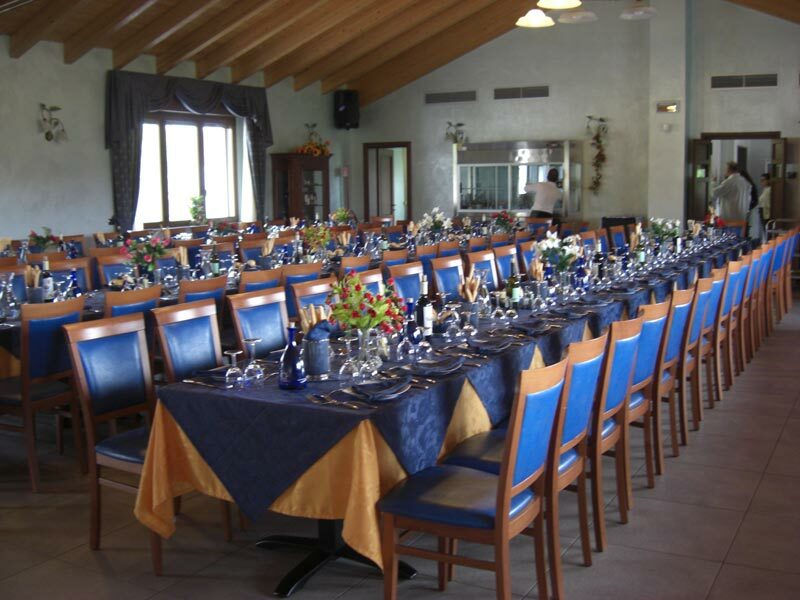 In autumn and winter we organize dinners on reservation for 10 people minimum. Rosa and Luigi awaiting you at their "Ristorante del Peso", amongst the beautiful Monferrato hills which create a kind of natural balcony surrounding the rice fields and the green and unspoilt plain of the Po river, within the natural park of the river itself, few minutes from the cities of Trino and Casale Monferrato and about an hour from Turin. 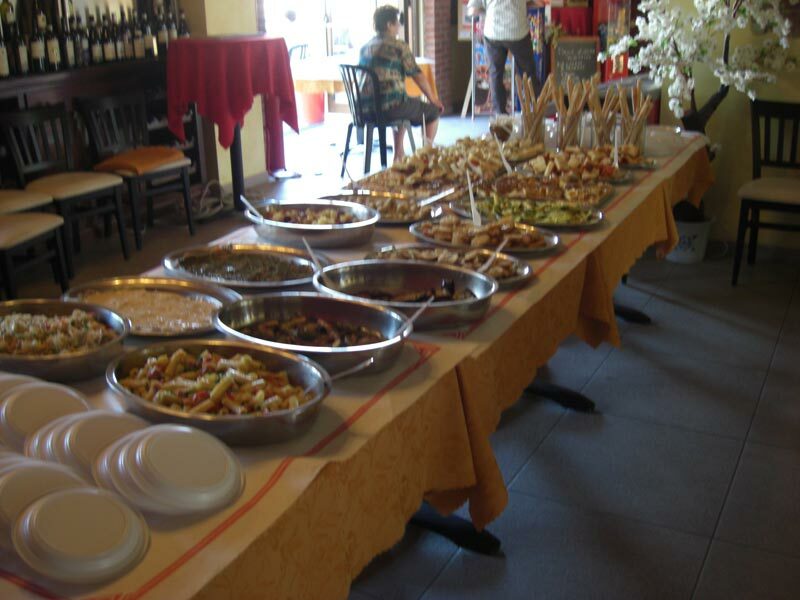 Ristorante del Peso serves a typically Monferrato Piedmontese cuisine, offering various themed menus, varying from dishes based on mushrooms or wild boar meat, truffle or rice like the famous Panissa, Bollito or Fritto Misto and other regional specialties. Our total capacity is of 230 seats divided into three lounges: a reception hall, a private lounge for business lunches or small receptions and a hall adjacent to the café for lunches and sundowners, 1 external dehor with 70/80 seats where our hosts can relax in spring/summer season. 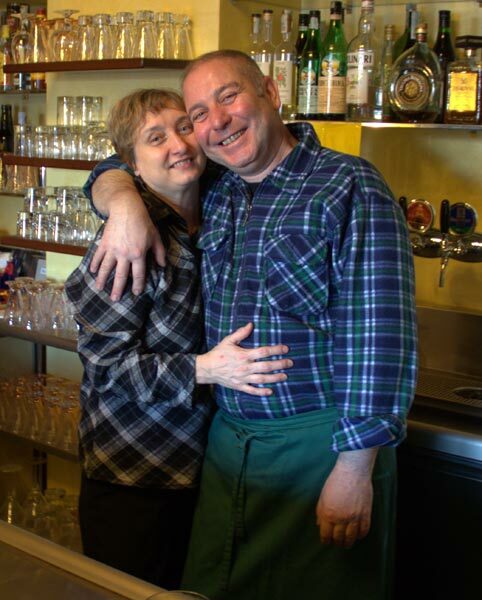 Rosa e Luigi awaitings for you at their Ristorante del Peso! Our lounge for receptions is ideal for weddings, themed parties and important events.